Everyone should try keeping a jar of homemade taco seasoning in their spice cupboard. 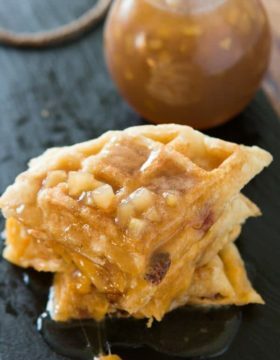 It’s so much more flavorful, is easy to make and stores so well! Just a dash of homemade taco seasoning can totally change a meal. Or taco seasoning added to a big bowl of soup for a southwestern flair, and of course, simple ground beef tacos need it as well. 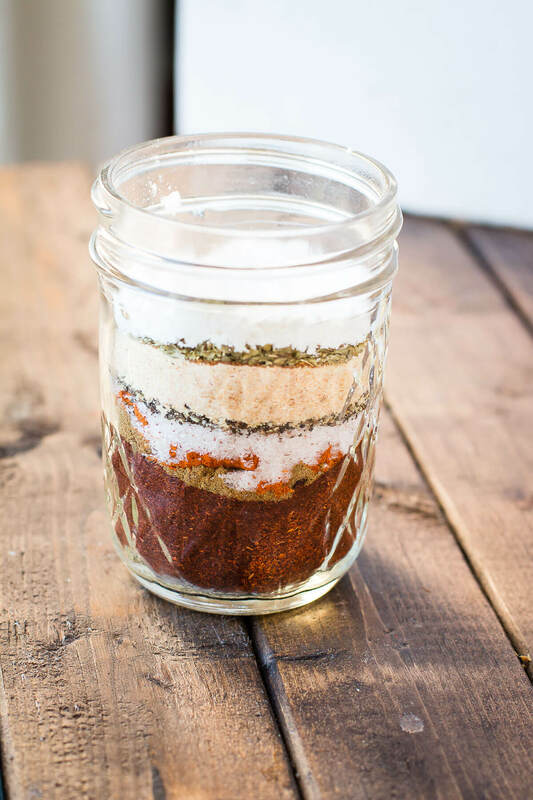 Whatever you’re using taco seasoning for this homemade taco seasoning recipe is about to change your life. You probably have everything you need on hand so don’t stress about that. Everything is thrown into a mason jar and shaken, not stirred. Actually, you can totally stir it, and I don’t even drink alcohol but it just always feels fun to say that, doesn’t it? 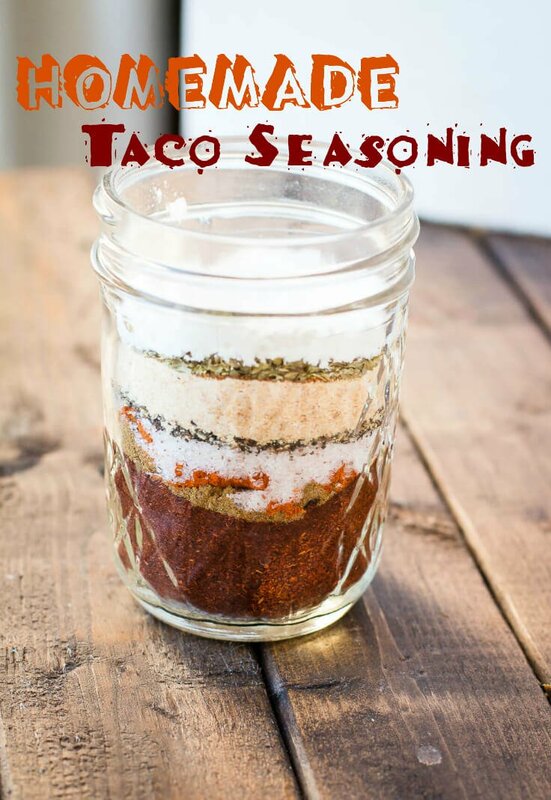 How Long Does Taco Seasoning Keep For? Months my good friend, months. 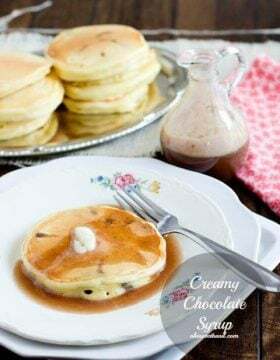 You can make a double batch and just use it in tablespoons whenever you need it. How Much Taco Seasoning Is In A Packet? There’s roughly 2 tablespoons of taco seasoning in one envelope or packet of taco seasoning. Why Do You Need Cornstarch in Taco Seasoning? You’ll notice that there’s cornstarch in taco seasoning, and that’s purely for a little thickening when things are cooking. I’m sure you’ve noticed that something cooked in taco seasoning gets a little saucy? Yup, that’s why and you for sure don’t want to skip it. 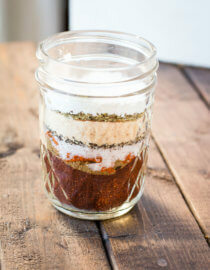 A quick and easy homemade taco seasoning! Add all ingredients to a jar and shake or stir to combine. Store in a dark, cool cupboard for up to 2 years. Home made is straight up my list! 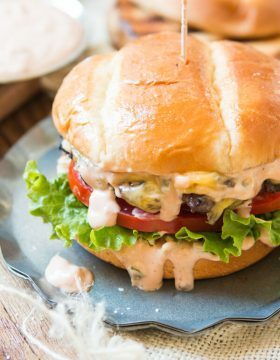 Thank you for sharing such a hearty recipe. These are so simple yet look so scrumptious! I am anxious to try making this seasoning……the garlic powder is listed twice in the recipe….is that a typo or? Good catch! It’s for sure a typo, thanks! hey girl- such a great tip!